As a teacher it is imperative that when the half term finally arrives, you squeeze in as much as you can, whenever you can. The first term back is always hectic; so much to do, see, and prepare, not to mention all of the new names you must familiarise yourself with... and breathe. Motivating yourself in the Autumn months can be a bit of a disaster (let's not beat around the bush). It's cold, dark, mostly miserable and the flu seems to make itself a permanent resident in your household, but this shouldn't stop you from enjoying yourself for a solid seven days, or maybe six? The work can wait until Sunday. Ditch the sofa, whack on your warmest clothes and head down to the castle to watch some of the classic horror films in style. Most are suitable for both adults and children, with the likes of Labyrinth, Hotel Transylvania, Goosebumps and The Nightmare Before Christmas, so make it an outing for all of the family. Love grub, drink, and more grub and drink? 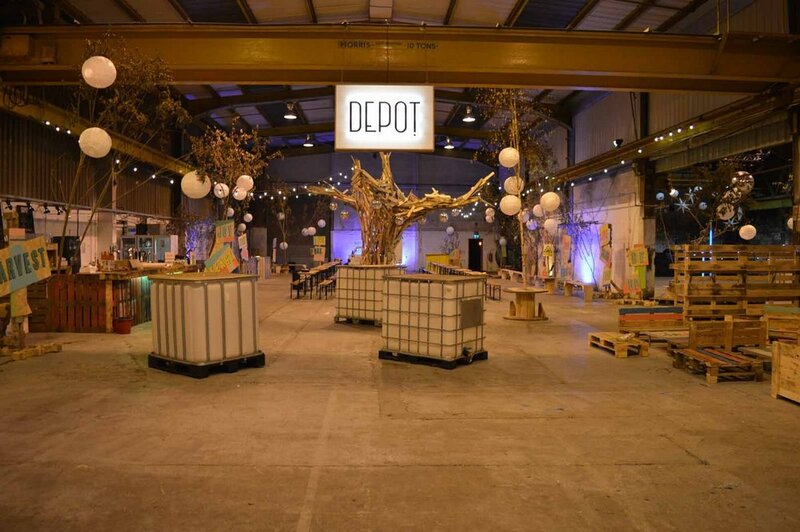 This former warehouse offers an indoor street food venue with cool and quirky events. Book yourself in on the weekend of 28th to get stuck into 'BINGO LINGO' or 'DAY OF THE DEAD'. You can grab yourself tickets by following the link here. Grab your best costume, and head out on the spookiest of strolls around Castell Coch. If you're into spooky stories and real Welsh ghosts, this is evening outing is right up your street. Tours are available at 6.30pm, 7.15pm, 8.00pm and 8.45pm. Looking for something to keep the little ones busy (and tired, you know for an early-ish night)? Techniquest is bringing you the coolest creations with self carving pumpkins and make-and-take activities. Fancy dress isn't mandatory but who wouldn't want to rock their wicked witch costumes? Join the Three Wine Men, Oz Clarke, Tim Atkin MW and Olly Smith at a fantastic wine tasting extravaganza at the Principality Stadium – all fuelled by the very finest bottles of wine. Tickets include unlimited tipples and plenty of special offers - the wine rack at home won't fill itself! We can all lie and say it's for the kids, but everyone has a soft spot for this well-known writer. This Millenium Centre tour features unique items from the Roald Dahl Museum and Story Centre archives. 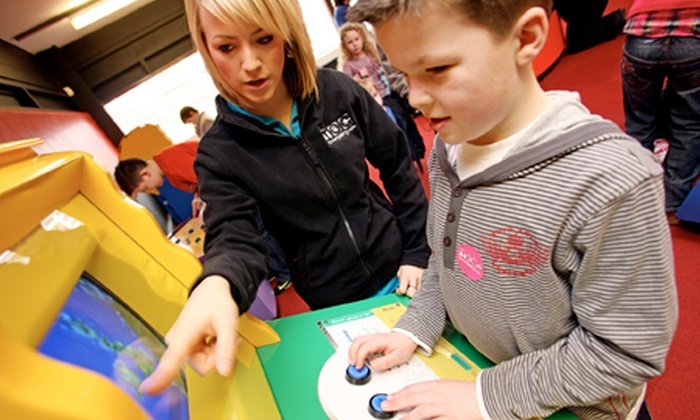 Plus there are interactive installations to spark the imagination - whilst testing your creativity. Get everyone out in the fresh air by visiting RSPB Lake Vyrnwy in Powys, Wales, which is opening a new wild play park on 26th October. It has a range of materials to build dens with and a dedicated mud kitchen for people to concoct culinary delights - wellies and 60 towels recommended! Not only do you get to travel by the Bay's water taxi, but you also get to stop at the pub too! The safari will include the likes of Welsh cakes, Welsh cheeses, Welsh seafood, and Welsh sherry (sounds pretty good if you ask us!) Be quick - it'll grind to a hault once November begins. Showcasing over 100 different gins, the GinFestival.com in Portland House is definitely one not to miss. Throughout the event there will be live entertainment, talks from gin industry experts, food available to buy and lot's of chit-chat with fellow drink lovers. Basically what we're trying to say is, go for the gin. 10. OR just stay in bed? If you're feeling a little run down after a full on few weeks, sign yourself up to Amazon Prime (free trial for 30 days) and watch an abundance of films from the comfort of your own sofa. Sometimes doing absolutely nothing is definitely the way forward, so if you want to sloth, you do it.